ABC, which is a subsidiary of Disney, is known for creating fantastically produced shows and many of them can be found on Netflix. Whether it’s using their fantastic IP’s from its Disney and Marvel studios or creating long-running sitcoms or medical dramas, Netflix has a great selection to chose from. Here are our top 10 picks from the ABC library that are currently streaming on Netflix. Galavant is a musical comedy centered around the adventures of Galavant, a stylish knight who is on a journey to reclaim both the love of Medalena and his reputation as a valiant knight. He is accompanied by Sid and Princess Isabella who are helping him on his medieval quest to find the evil King Richard who stole his love away from him. The show seems to be a bit of a mix of Monty Python and the Princess Bride, but with a bit more singing. Admittedly this show’s comedy is not for everyone, but for a lot of people, the show is overall very enjoyable, so why not give it a go? Released in 1990, Twin Peaks is a small Washington State town where FBI Special Agent Dale Cooper is assigned after the body of Kaura Palmer (A popular young girl) is found washed up. As the Agent digs deeper into the town, it leads him deeper into mystery, as nothing is quite what it seems. The series is about to have a sequel released in 2017, set 25 years later, that is going to follow Agent Coopers reluctant return to the small rural town. Apart from that, not much at all is known about the series. Agents of S.H.I.E.L.D is a spin-off series set after the first Avengers movie and is a series about a team created and led by Phil Coulson (Clark Gregg) to combat what is know as in humans. After the Battle of New York, dangerous and powerful supervillains start showing up rapidly, that require much more skill and power to be dealt with, that’s where S.H.I.E.L.D comes in. After a slow start, the spin-off series has gained popularity and momentum over time. And is deserving of our number 8 spot. Lost is a series that started back in 2004 and spanned over 6 seasons, a total of 118 episodes. The show follows the numinous survivors of a plane crash, that suspiciously goes down on a deserted tropical island. They must overcome the issues that the island poses, and uncover the many mysteries that the island and the creatures living on it hold. They must all unite to help each other survive, no matter how different they all are. The show was regarded as a success and has been said to have shaped the future of TV show. It includes comedy, action and complex character development that will keep you hooked. 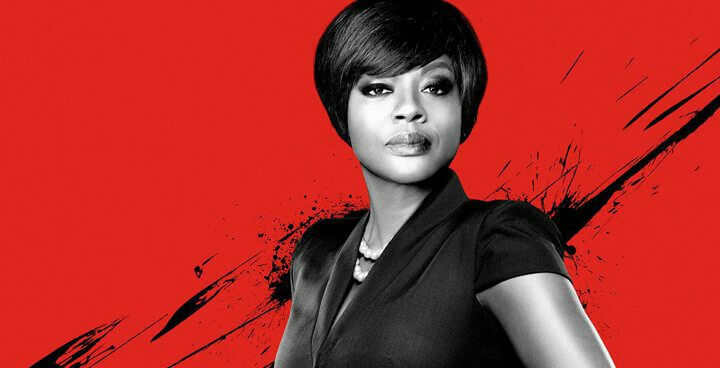 Viola Davis plays Annalise Keating, a criminal defense professor that is teaching ambitious students “How to get away with Murder”. The show is set in a Philadelphia university where 5 certain students get involved in a sinister murder plot. The show was nominated for 2 Golden Globes and even named Television Program of the Year by the American Film Institute. The show has also been renewed for a fourth season. Next story When will Season 5 of Wentworth be on Netflix?